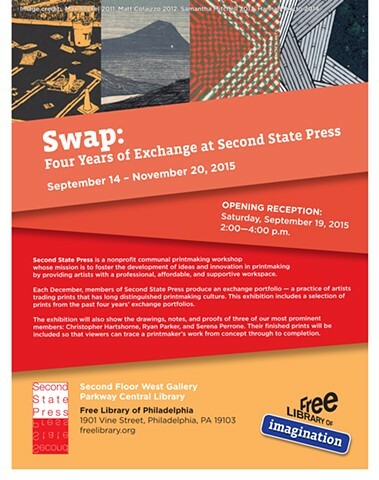 The exhibiton will showcase a selection of prints from Second State's member print exchanges. Serena Perrone, Ryan Parker, and I will also be showing a print along with ephemera from our processes - including our woodblocks and plates. Elevated: East vs. West on the Blue Line , Coral Street Arts House, Twelve artists depicting/reacting to the EL BLUE LINE, Reception June 6th - 5:30 - 8:00 with KEG!